A simple way for drivers to extend the life of their vehicle is to schedule an oil and filter change every 3,000 to 5,000 miles. By doing so, you will help maintain your vehicle’s high-level performance and lessen the risk of a costly breakdown. 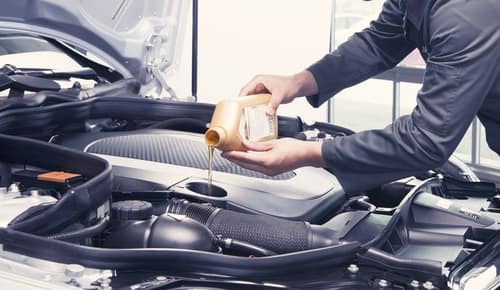 At BMW of Stratham, our team of factory-trained technicians specialize in caring for your particular model, providing high-level care to get you back on the road in no time. If you’re a driver near Stratham, Portsmouth, and Exeter and you’re overdue for an oil change, continue reading to learn some important warning signs you shouldn’t ignore. Decreased Acceleration: If it takes longer than normal for your vehicle to reach highway speeds or if it struggles to climb steep inclines, you should immediately schedule a service appointment. Poor Fuel Efficiency: Old oil makes your engine work harder than normal, resulting in greater fuel consumption. Dark Exhaust Smoke: If you notice your vehicle is emitting a dark, smoky vapor from its tailpipe, this is a good sign you need an oil change. Old oil causes dirty particles to build up inside your engine that then get released through your vehicle’s exhaust system. Burnt Oil Smell: If while driving you detect a burning oil or metallic scent inside the cabin, that’s a sign that either your engine is overheating or there’s a serious leak. Immediately pull over and avoid driving until you can have it inspected. Oil Pressure Indicator Light: This symbol looks like a dripping oil can. 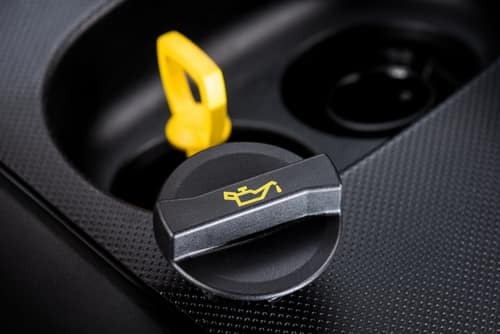 If it ever appears on your dashboard, it means either your oil level has dipped below a safe level or a malfunction has been detected. Immediately schedule a service appointment to have it inspected. Motor oil serves as the blood flow of your vehicle’s engine system. Inside your engine is a complex system of metal parts, all moving together and creating friction. Oil serves as a lubricant to these moving parts, keeping them from overheating while also removing any dangerous particles that inevitably will find their way into your engine. Over time, your vehicle’s oil will increasingly oxidize, turning into a dark, syrupy sludge. If not replaced, this sludge will begin to clog your engine, making it harder for it to fully operate. If ignored for too long, your engine runs a serious risk of overheating, or worse—a full seizure. Engine seizure is often irreversible, and replacing an engine can easily cost you thousands of dollars. All this can easily be avoided, however, by committing to a regular maintenance schedule. A licensed technician is your best resource when it comes to creating a schedule since they’ll be able to consider your vehicle’s age, mileage, and maintenance history.  At BMW of Stratham, we’re dedicated to helping drivers throughout Stratham, Portsmouth, and Exeter, NH, by providing a comprehensive list of services. If you’re due for an oil change or have a question we can help answer, simply stop in during service hours or schedule an appointment online today!